Want your rocket to fly straight? This is the Headmaster of Deepsky Rocketry Academy speaking. No more of your foolishness! A bent rod can lead to a bent rocket! 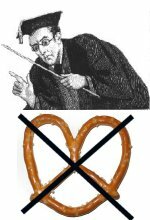 Your precious missile may not reach its maximum altitude if it has to expend energy navigating around your pretzel-like launch rod! This is a genuine Estes two part 1/8 inch standard launch rod 32 inches long and designed to be used with the Estes Porta Pad II. It is assembled by tapping the two lengths together. We have NEVER had any success in getting them back apart so you should consider this to be a permanent assembly operation. How long should a launch rod be? 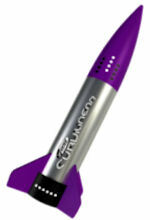 Estes has decided that this is an optimum length for most of their huge range of model rockets. We have launched Quest Payloader Ones on B motors with rods half this length so we are pretty sure that the Estes rods will handle most models. However, if you are launching heavy models, this rod length can get a little short. We have a 900mm long stainless rod for those applications. If the model is heavy and/or presents a large cross section to the prevailing winds, a 3/16 inch (5.5mm) MaxiRod is a safer bet. 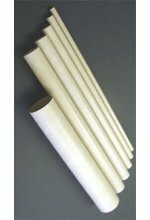 We also offer a 300mm extension to our MaxiRods for extra margin. Our MaxiRods are designed to come apart for easy transport and storage. Even if you have not yet irretrievably warped your current standard rod, why not keep a spare in your field box? That way your journey to some remote launch site won't be in vain! 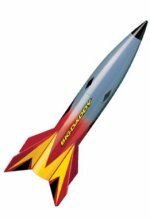 Recommended Motors: A through C, maybe D depending on the rocket and launch conditions. 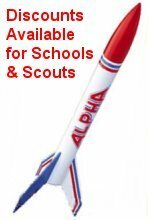 The UK SSP is £12.99... what a deal you can get at the Model Rocket Shop. Save over 50 per cent!! 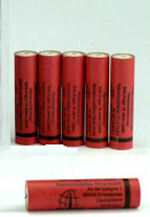 This product was added to our catalog on Monday 29, August 2005.